All Replies on Which digital angle gauge to get? 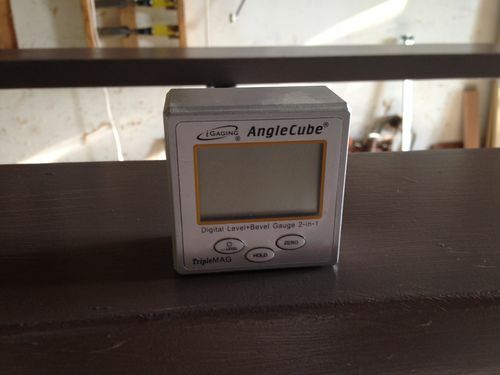 Which digital angle gauge to get? I think the manufacturer labels the same gauge with different names on it. Either one is fine and my Wixey works well for me. I have the Wixey and am perfectly happy with it. The Wixey has a “zero” button, but does it also have any way to get back to absolute reference zero? If I zero it, is there any way to get it back to the absolute zero point without having to find another calibrated flat surface? Depends on the model, they have several. I have the Wixey that Madmark has and it’s great for what I use it for. However, you said you need “high precision”? How precise? The Wixey has .1 deg resolution and +/-.1 degree for type 1 model or +/-.2 for the type 2 model. They have a model with a built-in level that I believe uses the level as an “absolute” zero and has a function to zero it to a reference angle as well. The type 1 and type 2 don’t have absolute zero, you have to zero it to a reference surface. Pardon me I have an iGaging triple magnet that has a zero function. My bad. I’ve got that Wixey angle gauge for the table saw and one of their protractors for my CSMS. Both work quite nicely. Although it would be nicer if they displayed to the 100ths. I just got the Wixey Type 2 a few weeks ago. So far it’s been great. I have both the Wixey and the iGaging devices. I have had the Wixey for several years and it has been fine, but I now prefer the iGaging. My Wixey uses a CR2025 that has an annoying habit of turning up dead at inopportune times … like when I need it. The cover on the battery compartment also comes loose and drops off (fixed that with some painter’s tape). 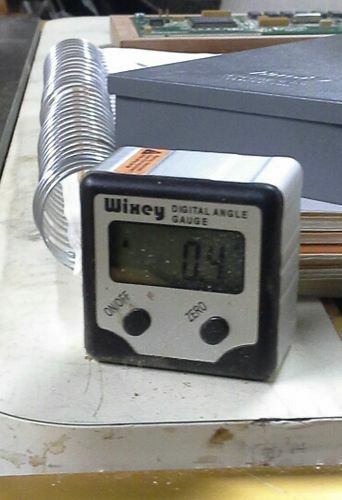 My Wixey also only measures down to 1/10th of a degree. The iGaging uses a 9-volt transistor radio battery, which should give pretty long battery life, and the battery compartment is secured with 4 screws. The iGaging also registers two points to the right of the decimal (hundreds in 5/100 increments), which results in a slightly more accurate angle. To be fair, my Wixey is 5+ years old, and I understand they have replaced the CR2025 battery with a AAA cell. I have an Igauging. Works great.